Home /Hare Krishna/Are You Hindu? The only human race to follow Vedic practice. Hindus are only people who know ancient traditions, secrets and knowledge of pious spiritualism – how to live happily in harmony with nature and creatures. Unlike other religious traditions, Hinduism does not originate in a single founder, a single book or a single point in time. It contains many different traditions, philosophies and viewpoints, not always consistent with each other but continuous or complement with each other. These apparent contradictions strike only those who are not familiar with this tradition: the Hindu insight claims that the Oneness expresses itself in many different forms. The lack of unifying overall religious authority and the total absence of a book claiming supreme truth and dogmas have contributed to the diversity of Hinduism as well. The many manifestations of Hinduism go from highly intellectual philosophies concerning numerous and puzzling metaphysical concerns, many rituals, mental and physical exercises such as Yoga to simple, historical tales and legends. 1.4.1 No mention of Europe! 1.5 Some Great Videos Citing Proofs – How Scientific Religion Hinduism Is. And why every other religious text of the world construe somewhat similar meaning which is similar to at least one of the Vedic and Hindu scriptures. The answer is simple, comparison shows that some of the basic concepts of God and its origin is exactly enacted from internal phrases of Vishnu Puran, Srimad Bhagwatam and Bhagwad Gita. You take any religious text of the world right from Islam, Christianity to Buddhism. This is not coincidental; its because ancient Dharm (morality, way of living) is very fundamental principle of existence and being the only oldest religion ever known to mankind Hinduism is bound to influence all other follow-up religions. Later on britishers fabricated fake theories and enforced these in the Indian society and education. The only difference is that Supreme God of the universe, Lord Krishna never pushes threat on non-believers, Vedic scriptures are filled with historical tales where atheist and even asuras attained divine liberation after surrendering to Lord Krishna. These atheists and asuras were Hindus too by birth. 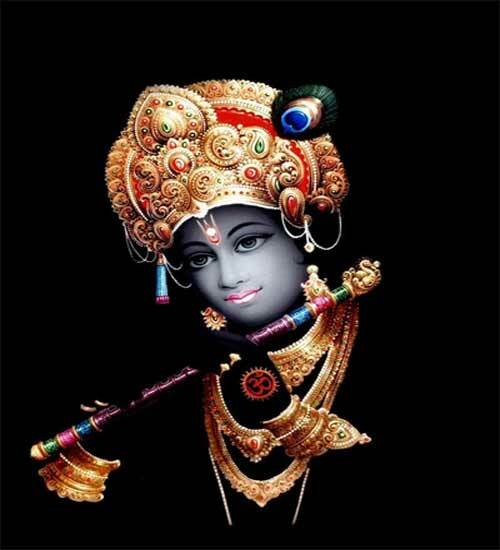 Lord Krishna is the most merciful, lovable, approachable (yes He is you need to keep faith on him) God. Krishna is so innocent and pious to understand that he has made path to reach his consciousness simple and easy. You can think of him as your baby, kid, pati (aatma pati), devar, jeth, sakha, brother while surrendering yourself to him. Your present relationship in this material world are temporary and self inclined. The moment your wishes are not fulfilled by your near and dear ones, you lose love towards them. The soulful relationship with Krishna is beyond this material world. Establishing relationship with Kanhaiya makes it easy to get closer to him. This openness, allowance and tolerance level of Supreme God suggests that he wants every human being to reach him making this world a replica of Vaikuntha Dham. The relationship that we establish with him is not materialistic but our souls converging to his pious soul. The aatmic (soul bound) relation is undying, selfless, timeless and divine. Meaning: The core value of dharm (religion in today’s kaliyugi world) is forgiveness, clemency and core value of sin (anti-dharm or anti-religion) is selfish ego and pride. Lord Krishna’s merciness is extension of this dharm mool that’s why surrendering to him is unison of our soul with his piousness. And whoever is born in this world bears soul to make the body work. This soul is nothing but a negligible fraction of parent soul of Lord Krishna. He is controller of everyone and everything in this world. Everyone born here is Hindu by birth. Our faith dharm help us in getting immersed in this parent soul of all. Lord Krishna preaches prem towards all living human beings who follow path of dharm. Lord Krishna is merciful, which is why he forgave 100 sins of shishupal, a Hindu by birth, he was warned not to cross limit of 100 sins but when shishupal didn’t listened and his ego made him cross the limit, Lord Krishna killed him with his sudarshan chakra. Though Hindu dharm teaches tolerance, world unity and brotherhood, but after certain limit, if the anti-dharmic people’s sinful activities is causing disgrace to fundamental of dharm then like Lord Krishna, greatest preacher of dharm, a Hindu should also take step to teach lesson to such people who behave like shishupal. Today dharm has enemy from within, ignorant lot of Hindus like shishupal, who think they are very intelligent, modern and forward looking following contaminated western thoughts. Some egoistic crooks questioning even the actual existence of God. If we ask the question what is a Jew?, for example, the answer is: someone who accepts the Torah as their scriptural guide and believes in the monotheistic concept of God espoused in these scriptures. What is a Christian? – a person who accepts the Gospels as their scriptural guide and believes that Jesus is the incarnate God who died for their sins. What is a Muslim? – someone who accepts the Qur’an as their scriptural guide, and believes that there is no God but Allah, and that Mohammed is his prophet. A Hindu is an individual who accepts as authoritative the religious guidance of the Vedic scriptures, and who strives to live in accordance with Dharma, God’s divine laws as revealed in the Vedic scriptures. Vedic scriptures transcends and explains in detail about soul, mind, chakras, body and existence of inter-dimensional world; which no other religion does . This divine overlapping of Vedic scriptures that defines our science, existence, way of living makes everyone a Hindu. Only Vedic scripts talks about soul and its transcendence in detailed manner. It gives information of highest order. No living human body can be composed without soul. Every living being comprises of this Hindu soul. Hinduism teaches to follow dharma for your EXISTENCE. Existence is in following humanity. Humanity is in truth, pious moral values, imbibing positive energies while annihilating negative energies. Life of this world relies on loving and protecting nature & animals, in a way existence of this world ensures sustenance of humanity (or human race in material terms). This is core value of Hinduism. Hinduism teaches giving pranam (greeting) to each breath we are taking, by pronouncing ॐ OM. Without taking breath no one can stay alive. Its not only god that make us stay alive but taking breath every second keeps us alive. This god given universal sound OM is originator of all celestial planets. This is not just one thought, Hindu teachings are filled with more such insightful scientific theories. Pronouncing OM makes us tangent to the consciousness of Supreme God of the universe. No other religion teaches you such spiritual science. We can put OM piousness to test and sanctify the positivity of OM, by pronouncing OM 21 times daily in the morning and we can feel the positive impact it gives us. Since we all human beings are born Hindus we can easily put our consciousness to the supreme soul. Any individual whether he is Islamic or practicing Christianity can chant OM. It is for the mankind not religion specific. Vedic scholars never got anything reserved in their closet because they believed in sharing knowledge to the mankind and not owning it for personal benefit. This is true culture of cohesiveness given to world from India. This should be embraced by the world unselectively. Unlike western thoughts of patenting even minor things and earning livelihood from it thereby creating unnecessary competition. How To Pronounce ॐ: Ooooooo for 1 second…..AAAAAAA for 5 seconds…..MMMMMMM for 6 seconds. How Vedic consciousness Influenced lives of all Humans in this world. Follow up Videos explain the same on Consciousness, Science and Maya. Videos also explain how Hindu concepts always influenced all, protected them and taught them existence of mankind, making them all a Hindu too. The contents of Video is referred and acknowledged by the many scholars in the World. The anti-Hindu historians like Romila Thapar and D.N. Jha have opined that the word ‘Hindu’ was given currency by the Arabs in the 8th century. They however, do not explain the basis of their conclusion nor do they cite any evidence in support of their claim. Even Arab Muslim writers do not make such an extravagant claim. Another theory propounded by European writers is that the word ‘Hindu’ is a Persian corruption of ‘Sindhu’ resulting from the Persian practice of replacing ‘S’ with ‘H’. Even here, no evidence is cited. In fact the word Persia itself contains ‘S’ which should have become ‘Perhia’ if this theory was correct. The present paper examines the above two theories in the light of epigraphic and literary evidence available from Persian, Indian, Greek, Chinese and Arabic sources. The evidence appears to support the conclusion that ‘Hindu’ like ‘Sindhu’, has been in use since the Vedic age and that although ‘Hindu’ is a modified form of ‘Sindhu’, its origin lies in the Saurashtran practice of pronouncing ‘H’ in place of ‘S’. The Hamadan, Persepolis and Naqsh-I-Rustam Inscriptions of Persian monarch Darius mention a people ‘Hidu’ as included in his empire. These inscriptions are dated between 520-485 B.C. This fact establishes that the term ‘Hi(n)du’ was current more than 500 years before Christ. Xerexes, successor of Darius, in his inscriptions at Persepolis, gives names of countries under his rule. The list includes ‘Hidu’. Xerexes was ruling between 485-465 B.C. On a tomb in Persepolis, in another inscription assigned to Artaxerexes (404-395 B.C. ), there are three figures above which are inscribed ‘iyam Qataguviya’ (this is Satygidian), ‘iyam Ga(n)dariya’ (this is Gandhara) and ‘iyam Hi(n)duviya’ (this is Hi(n)du). The Asokan inscriptions (3rd century B.C.) repeatedly use expressions like ‘Hida’ for ‘India’ and ‘Hida loka’ for ‘Indian nation’. All men are my people. I desire for my people that they may be provided with all welfare and happiness. I desire for my people, including the people of Hind and beyond and I desire for all men. Dhamma may be followed and the people of Hind and beyond may be served. The Ashokan inscriptions establish the antiquity of the name ‘Hind’ for India to at least third century B.C. The epigraphic evidence from the Achaemenid, Ashokan and Sasanian Pahlvi records puts a question mark on the theory about the term ‘Hindu’ having originated in Arab usage in the 8th century A.D. Literary evidence takes the antiquity of the word ‘Hindu’ back to at least 1000 B.C. and possibly 5000 B.C. In the Avesta, Hapta-Hindu is used for Sanskrit Sapta-Sindhu, the Avesta being dated variously between 5000-1000 B.C. This indicates that the term ‘Hindu’ is as old as the word ‘Sindhu.’ Sindhu is a Vedik term used in the Rigveda. And therefore, ‘Hindu’ is as ancient as the Rigveda. In the Avestan Gatha ‘Shatir’, 163rd Verse speaks of the visit of Veda Vyas to the court of Gustashp and in the presence of Zorashtra, Veda Vyas introduces himself saying ‘man marde am Hind jijad.’ (I am man born in ‘Hind.’). He also further introduces himself as ‘ Hindu’. Veda Vyas was an elder contemporary of Shri Krishna (3100 B.C.). Veda Vyas is also compiler of four Vedas which was originally created by Lord Vishnu himself. The Greek term ‘Indoi’ is a softened form of ‘Hindu’ where the initial ‘H’ was dropped as the Greek alphabet has no aspirate. This term ‘Indoi’ was used in Greek literature by Hekataeus (late 6th century B.C.) and Herodotus (early 5th century B.C. ), thus establishing that the Greeks were using this derivative of ‘Hindu’ as early as 6th century B.C. The Hebrew bible uses ‘Hodu’ for India, which is a Judaic form of ‘Hindu’. The Hebrew Bible (Old Testament) is considered earlier than 300 B.C. Today’s Hebrew spoken in Israel also uses Hodu for India. The Chinese used the term ‘Hien-tu’ for ‘Hindu’ about 100 B.C. While describing movements of the Sai-Wang (100 B.C. ), the Chinese annals state that the Sai-Wang went towards the South and passing Hien-tu reached Ki-Pin. If but once one worships Mahadev with devotion, One will attain the ultimate salvation. Massayare akhalakan hasanan Kullahum, Najumam aja at Summa gabul Hindu. Another doubt created by the modern day anglicized historian is that the term ‘Hindu’ is not found used in Sanskrit literature. This misconception can be dispelled by quoting from Sanskrit works15 : Meru tantra (es#rU=) (4th to 6th century A.D.), a Shaiva text, comments on ‘Hindu’. Hindu is one who discards the mean and the ignoble. The same idea is expressed in Shabda Kalpadruma. Hindu is one who with penance washes one’s sins and evil thoughts and with arms destroys one’s enemies. One who meditates on Omkar as the primeal sound, believes in karma & reincarnation, has reverence for the cow, who is devoted to Bharat, and abhors evil, is deserving of being called Hindu. One who abhors the mean and the ignoble, and is of noblebearing, who reveres the Veda, the cow, and the deity, is a Hindu. Another theory says that ‘Hindu’ originated from the Persian practice of replacing ‘S’ with ‘H’. This does not seem to be true is evident from the fact that Sindh has not become Hind and both Sindh and Hind exist in Persian as well as Arabic. The inscriptions of Darius and Xerexes which describe India as Hi(n)du, also use the term ‘Sugd’ for Sogdiana. This ‘Sugd’ should have become ‘Hugd’ as per this theory. The Pahlvi inscription of Shahpur II, uses ‘S’ in Shakastan and Tuxaristan. But it cannot be denied that Hindu is also a form of Sindhu. It needs to be realised that this change from S to H is common in Saurashtra where Sorath becomes Horath, Somnath becomes Homnath and so on. The form Hindu is therefore, likely to have come from Saurashtra. Epigraphic scientific evidence takes the antiquity of ‘Hindu’ back to at least 500 B.C. Use of ‘Hindu’ as part of ‘Hapta-Hindu’ in the Avesta suggests that ‘Hindu’ is as old as ‘Sindhu’ and therefore, belongs to the Vedic age. Regarding the origin of ‘Hindu’ from ‘Sindhu’, the Saurashtran practice of pronouncing ‘H’ in place of ‘S’ provides the answer. The proof further abolishes false claims made by british writers who wanted to dilute effectiveness and antiquity of term ‘Hindu’ so that Hinduism can be shown as recent religion. But then truth cannot be hidden since dharm is light of sun and rays of white light come out tearing black shadow of falsehood. Some skeptics performed DNA tests on some people of other religions in India and found that they were actually ethnic Hindus. Its already shown in BBC TV too that the aryan invasion theory is completely false and Hinduism is the only religion to be most civilized and ancient ever known to mankind. Indian history books teach lies when they rely on western and european thoughts on fake aryan invasion theory. Aryan Invasion Theory has been proved to be a myth and as a wrong theory long back. But let me explain in detail the actual history and dirty politics behind this theory. Note that this theory was used as a basis by Hitler to advocate his theory of the supremacy of the Aryan race and to mindlessly kill whom he claimed to be non-aryans! Let us first see what the Aryan Invasion Theory says. It calls the race which belonged to the vedic age as Aryans. It says that at around 1500 BC Aryans, (which it says was a tribe from the Europe) invaded north India plundering and pushing down the local Dravidians (who it says were the original natives of India) who lived there to down South India. In a nutshell, it says the North Indians of today belong to an Aryan race which came to India from Europe and today’s South Indians are the native Indians (called Dravidian Race!) who lived in North India before the Aryans came! The vedic people who lived in North India during the vedic ages were these Aryans, it says! Now let us see some of the obvious proofs that have thrown this theory into dustbin. Aryan is not a race! First of all Aryan is not a race. No where in the Vedas and other ancient Indian text is the terms Aryan used to refer to a race!! Aryan in Sanskrit means Gentleman. It is used in Sanskrit like how in English we use the term Mr, that s all about it! I have declared again and again that if I say Aryas, I mean neither blood nor bones, nor hair, nor skull; I mean simply those who speak an Aryan language to me an ethnologist who speaks of Aryan race, Aryan blood, Aryan eyes and hair, is as great a sinner as a linguist who speaks of a dolichocephalic dictionary or a brachycephalic grammar. Dravidians was not a separate race! The people of south India whom the Aryan Invasion theory says were the original natives, are NOT a race separate from the North Indians! They all belong to one and the same race. The ancient Indian vedic race. This is because, the languages of both, the so called Aryan and Dravidian people have their roots in Sanskrit language. Both worship the same Gods. Both have the same epics. Both have same philosophies. 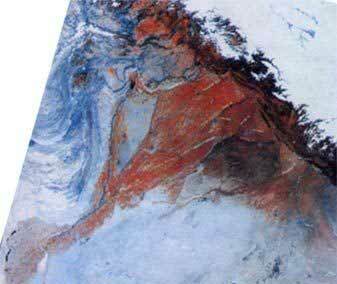 Both have histories which date back to thousands of BC. Given these facts, how can then Aryans and Dravidians be two separate races? If Aryans had invaded India then why are Dravidians following the same customs and religion as aryans. How do they speak languages which originated from the same parental language? Why dont any dravidian folk lore or ancient texts or sayings or stories or epics exist which talk about the so called Aryan invasion? Also why do the vedic texts talk about locations in South India? The Ramayana, Mahabharatha all talk about South Indian locations even below and beyond the main land of India into the Indian ocean like Srilanka! If Aryans were from europe and if they invaded North India and pushed local people down to South India, where did these locations come from? There are thousands of incidences in Vedas and Puranas where it’s mentioned that several Saints, Sages and Divine Gods travelled from/to and from North India and South India, vice versa. These include several meetings of Lord Murugan with Lord Shiva; he travelled from south to north India to meet him. Lord Murugan’s father Lord Shiva protected world and universes from demons abiding in Kailasha while he asked his son Lord Murugan to protect Southern India and his second son Lord Ganesha to protect Western India. This proves beyond doubt that there do not exist any separate Aryan and Dravidian races. Instead natives of both North India and South India belong to one single race called the Vedic Indian race! Genetical analysis done by genetic researchers and scientists also proved that Aryan Invasion theory proposed by max Muller was false. Even Max Muller himself later remorsed and confessed that its wrong to call Aryan as race and so is ‘aryan invasion’. There is no mention of any location outside the mainland of India in any of the vedic texts! If aryans came from Europe, then why havent the so called aryans mentioned any of the european locations in any of the vedic or related texts? The farthest location away from India towards the west mentioned in the vedas is Kadhahar of present day Afghanistan, which was called Gandhar in the vedic texts and was said to be the kingdom of Shakuni. Why haven’t any of the texts mentioned about their European locations? Why is there no vedic text which talks about migration from Europe? None of the vedic texts talk about rivers outside India! Everybody knows that rivers were the major sources of water for all ancient civilizations and so all ancient civilizations were centered around the world’s major rivers. Why is there no mention of any European river or a river outside India anywhere in the vedic texts? Wouldn’t a race mention something or the other about its native place in at least one of its texts? This is a death blow to the Aryan Invasion theory. According to the Aryan Invasion theory the aryans who invaded India in around 1500 BC settled on the banks of Indus or Sindhu river in North India. The vedic texts talk about Ganga Yamuna Saraswati as the trio river , the three great rivers of their age. Ganga and Yamuna rivers exist even today in North India and till sometime back Saraswati was thought to be a mythological river. But vedas talk about Saraswati as a mighty river that flowed in the north India during the vedic ages! There is also the mention of the Ganga Yamuna Saraswati merging at a place called Prayag , which was also called the Triveni Sangam (the current Allahabad in North India where today only Ganga and Yamuna meet). It is said that the Saraswati that merged here with the other two rivers was a subterranean channel of the main river of Saraswati. The Mahabhartha talks about Saraswati river saying that it dried up in a desert! So it has to be noted here that Mahabhartha can be dated back to the drying up of the Saraswati river! Recent satellite images and geological excavations have proved the existence of a ancient river in North India, with exactly the same features of river Saraswati described in the vedas and Mahabharatha! Today Saraswati is a dried up river today. Before Saraswati dried up, the present Rajasthan was a lush green area! The drying up of Saraswati created the Thar desert in Rajasthan. Even the current dry beds of Sindh and Baluchistan (currently in Pakistan) were lush green fertile lands before the Saraswati river dried up! Why did the Saraswati river dry up? The plate tectonics of the Indian sub continental plate and the himalayan sources of this river are thought to be the main reason for that. Sutlej and Yamuna were the main sources of the Saraswati river. As the Indian plate moved up towards the main Eurasian plate, the course of Yamuna got altered in the Himalayas moving more water of Yamuna towards the Ganga river and that of Sutlej got altered to join Indus! This caused a major loss in terms of its water source for the river Saraswati and is thought to have been the cause for its drying up. Now what does Saraswati river have to say about the Aryan Invastion theory of 1500 BC? Well, the geological excavations give a date of about 4000 BC for the drying up of Saraswati river ! There are four primary human races in the world. They are Caucasian, Mongoloid, Australian and Negroid. The so called aryan and dravidian people both belong to the Caucasian race where people only get a bit darker as one moves towards the equator which is a natural phenomenon all over the world. More sunlight means more melanin pigment in the skin. As simple as that. So if Aryan invasion is true then it means that the Caucasian race which first evolved and lived together, then got separated into Aryans and Dravidians and both moved geographies apart, and then became one by Aryans invading Dravidians! Is there any proof for this in AIT? Then why was the Aryan Invasion Theory created? Well, more than saying created, it was popularized and promoted by the British without investigating its merits and demerits because it suited their divide and rule policy in India. The same way they divided the Hindus and Muslims in India based on religion, they also divided the Indians using this theory as Aryans (North Indians) and Dravidians (South Indians). This was the politics behind this theory. Also read this . In a nutshell, the ancient vedic people were settled in India much before 4000 BC and have nothing to do with the myth of 1500 BC invasion theory! There is no separate aryan or dravidian race. There is one single ancient Indian vedic race with roots IN INDIA. 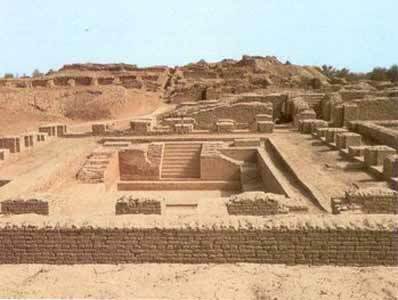 Indus valley civilization is NOT the most ancient Indian civilization. It was probably only a remnant civilization of an ancient Civilization that existed till the end of the Mahabaratha war. The most ancient Indian civilization was therefore the Saraswati valley civilization (or a Ganga-Yamuna-Saraswati civilization) of the vedic age. Finally read this link to look beyond my thoughts on this invasion that never really happened! Only one among our great political leaders saw through the hollowness of the Aryan theory. B R Ambedkar who observed: “That the theory of the Aryan race set up by Western writers fails to the ground at every point goes without saying….Anyone who comes to scrutinize the theory will find that it suffers from a ‘double infection.’ He could clearly see the implications of such ill-founded hypotheses which colonial Indology imposed on India and which pro-british Indian scholars went on repeating ad nauseam. Being in british regime, eminent scholars pragmatic voice went unheard. Need of Hour: Our Gods, especially Lord Krishna and Lord Rama should be given highest authority in history books, their teachings should be taught to all of us- their principles of mercy, love, brotherhood shown in Ramayan and Mahabharat should be included in our history books; giving importance to their positive and insightful life changing thoughts (proven theories), which will make all of us confident, positively inclined proud citizen of India and world. While revoking all false historical books which paint India as a backward and poor country in terms of its history and legacy as portrayed by british historians. One simple question if India was so poor and backward then why the hell these britishers came to this country with begging bowl while asking for doing business with us in the disguised purpose and name of East India Company. Our Indian values are supreme and based on truth, honesty and dharm. Ancient India was pious. No one knew about corruption and loot before invasion of british. We got ourselves contaminated with their filthy thoughts. Today there is degradation of family values, tradition and cohesiveness. Due to our inclination towards western thoughts; we are facing social issues of coruption, r@pe, loot, inter-family murd3rs. Lets revert to our original culture which made our India soney ki chidiya and all Indians self-reliant, harmonious and peacemakers. We should abolish western education and culture which imparts competition among individuals. We should acknowledge cohesiveness and harmonious culture taught by Vedas. We should teach Vedic Science, Vedic Mathematics, Vedic Astrology, Vedic Cosmology and Vedic spirituality in our schools; which are flawless and timeless. Some Great Videos Citing Proofs – How Scientific Religion Hinduism Is. sir jab m 4 years ki thi tabhi se m krishna ka naam leti rahti thi unki balkrishnleela achi lagti thi har mushkil se krishn ne mujhe bachaya h jab meri family bhi mere saath nahi thi tabh bhi shree krishn mere saath the…….sir actully m sanyaas lena chahti hu but because of my family m sanyaas nahi le sakti……koi asa sadhan plz batao ki m bina sanyaas liye bhagvan vishnu se apni soul connect kar saku…..
Agar aap sach may Bhagwan Vishnu ji se judna chahti hai toh Google “haribhakt Om Namo Bhagavate Vasudevaya” aur is mantra ka jaap kare. Roz nahane ke baad 108 jaap karey mala dwara. Sarir saaf suthra rehna jaruri hai aur mann kewal Krishn ji ya fir Vishnu ji may leen ho. Aap isko badha bhi sakti hai 25000 times chanting per day. Aap niyamit roop se jaap karogi toh avasya hi mann aur shudh hoga aur aap Vishnu ji ko apne bahut paas se anubhav karogi. Aapko anubhuti hogi Vishnu ji aapke saath sarvada hai. Waise Bhagwan hum sabhi logo ke saath hamesha rehte hai par hamey jyada acche se anubhuti mantra ke jaap se hoti hai. Jab hamare sarir ki chetna mantro se jaagrit ho jaati hai aur Bhagwan ki kripa bani rehti hai. Please add an automatic translation tool for all readers. We did that before, however it was not so accurate so we removed it. We will again revisit and peruse on better translation tools. Religion is an unnatural way of classifying humans . 1) Sanskrit language is the mother of all languages..
2) Hinduism (Sanatan) religion is the mother of all religions. rama raman ramus roma raman all these world are from sanskrite…. satya, treta and dawapar’s weahter were clean and clear light dark blue sky in INDIA…when kali-yuga’s Modern time start so in india, Pakistan, Sri-lanka and Bangladesh became 99% pollution and messy looks Except other countries (non-south Asian)..
radhe -radhe…. thank you all members concern with this site for providing such a great information about Hindu and Hinduism ! hare Krishna! First thing we need to do is stop calling ourselves Hindu. Hindu is Persian pronunciation of Sindhu, which is the name of a river. We don’t call ourselves Ganga or Yamuna. Then Why Sindhu? We have two lovely terms- Varnashrama Dharmis & Sanatana Dharmis, which are more accurate by scriptural standards. We use popularly known term Hindu to connect with billions of people easily as they do not refer themselves as Sanatan Dharmis (we do use this term for us proudly in many of our researched articles). Hindu itself has origin from Bharat Varsha and not persia as promoted by concocted historian. I believed always in Hinduism and feel real sad by the way are religion is targeted ..
By Christan missionary by glamorizing by Christianity. We are forced to believe, and asked to shut are radical mind. Hinduism gives a more liberal scientific and acceptable religion. Being Hindu I am proud that I don’t live In fear of going to hell but I live with harmony and peace.. I only have one message believe in all religion and respect ur own. Proud to be Hindu and Indian. Ok We will try to add an automatic translation tool for all readers. After all our objective to create awareness among native Indians and Vedic ritual pursuers.